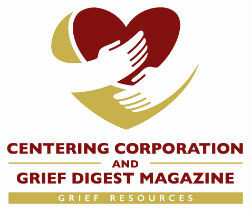 As one who has taught, written, and worked in the death-awareness field for more than forty years, I am expected to be able to manage the many deaths that have occurred in my own life as an “expert.” When others ask me for help with their grief or that of their children, spouse, friends or significant others, I have generally not told them to do as I do, but rather do as the other “experts” in the field suggest when facing grief. My own management skills have been developed over the many years and deaths of my life. I have been lucky to have a family who traveled a lot. We also had relatives who lived in far-flung places. Having many in the military meant that some were even in other countries, which caused me to want to see those strange places as well. From the poverty of reservations, to the wealth of the Hampton's; from the hills of French Lick, Indiana, to the tall buildings of Chicago; from the graves at Arlington Cemetery to the grandeur of the Rocky Mountains, I have been able to travel and learn about the world. Perhaps, I became a sociologist because I found the people that I met everywhere to be fascinating. Studying Spanish in Monterrey, Mexico, as a sophomore in high school gave me the courage to join the Peace Corps a few years later. Traveling before motels were common meant that I did a lot of camping and spent time with relatives, friends and even strangers. My love of music led me to listen to people who sing in the hills, on reservations, in coffee houses, and on porches. Coming from a family with a significant number serving in the military, having first cousins who were older than my parents, and having many, many relatives, I was exposed to death at an early age! As a child, facing the deaths of significant people in my life taught me to react stoically and have a public face that was both mature and seemingly able to manage anything. Being tough and able to stand up to whatever life threw at me was the outward goal. While my family has more than one cultural background, the men seemed to present a no nonsense approach to grief. “Take it like a man!” I was able to present this persona. But on the inside, it was a different story! While crying has not been part of my outward presentation of self, on the inside I have experienced great stress and often have had great difficulty talking. Though I have not sought help from other people, I have generally used music and poetry to manage my feelings and prepare myself to return to my “normal” life. Growing up in the 1950s and 1960s, made folk music my music of choice. Before I was a teenager, I was exposed to Pete Seeger, the Weavers, Burl Ives, Lead belly, Josh White, Harry Belafonte, and many others. Unlike the trivialities of popular music, folk music reached my soul. Their straightforward and honest songs of heroes, robbers, workers, lovers and death intrigued me. They sang of real people, like those I knew in my own life; people who worked hard, played hard and loved deeply. People who faced tragedy and yet went on with their lives. Like old photographs, folk songs remind us of our roots, our heritage and our beginnings. My appreciation for the treatment of slaves, the sacrifice of sailors, the drudgery of miners, and the many others of song came through the music. Folksingers are poor people, farmers, workers, convicts, housewives, story-tellers, liars, miners, sailors and workers of all sorts. Folk songs teach about life, death and the hereafter. For me, folk music allowed me to understand dying and death. People worked hard, but they still died. The stories of John Henry, Joe Hill, the Spring Hill Nova Scotia miners, John Kennedy, Bobby Kennedy, Reverend Martin Luther King are the messages of folk songs. Since death and dying are a part of the human condition, folk songs often deal with dying and death. For me, music, particularly folk music, is a spiritual experience. My spirituality is God-centered, and it includes saints and spirits and a belief in an afterlife. It is a Roman Catholic perspective. The teaching of the Catholic Church includes caring for the poor, protecting workers, aiding the homeless, helping the less fortunate, and sharing what we have with others. Folk music supports this view of spirituality. I believe that all people have a story just like those in folk songs. Taking time to visit with the homeless, those on isolated reservations, the imprisoned and the dying have strengthened my spirituality. Finding the sacred in people around me makes me better able to face deaths, including my own. Perhaps when Will Rodgers said he had never met a man that he didn’t like, he should have said that he had never met a person that was not interesting. I have marveled at the suffering, strength and ability to survive of many people who were viewed as less fortunate or looked down upon by others. The kindness of strangers, the willingness of those with so little to share, or the willingness to suffer to protect another has helped me see the spiritual in others. I have lived a full life of experiences, such as suffering, joy, pain, sorrow, love and learning! So many people have given me so much! Though they may have died, they still live on with me! Relationships do not die; people die! My loved ones may not be with me any more physically, but they are present spiritually. Death does not keep us from going on with our lives, remarrying, having other children or enjoying the gift of each day! As a sociologist, I recognize that folk traditions change, and that will change what is folk music. People sing because they enjoy singing. Not everyone wants to sing songs from the past. I find it interesting that children enjoy singing folk songs from many different traditions. The singing at the International Conference on Dying, Death, and Bereavement and at the International Work group on Death, Grief, and Bereavement have brought back memories of my singing as a child. The music is a great source of relief after long hours of work groups or sessions at the conference. Music is healing, inspiring and cheering, and it teaches about life. The role of elders is to teach the young. The elders as folk singers have taught me much about life. What makes a song have meaning? Looking at a song from one point of view, it may be mystical. From another point of view, it may be warm and loving. From still another view, the same song may be sarcastic or ironic. What makes a song great is the impact that it has on the person who is listening to it. The creator of the song has no idea what the effects will be on others. Having been in a coal mine, at sea and on a reservation, I can better understand why it becomes so much of a home to those who work there. The lure of the mine, the reservation or the sea is hard to understand for those who have never ventured into these realms. The joy that comes from hard physical labor , aching muscles and body pain makes me wonder if I will be able to keep working. It can only be known by those who have worked digging ditches, catching fish, chopping trees and hundreds of other occupations that many of us will never experience. Having worked physically for a living has made me a better person and a better professor. Music is my way to keep my loved ones alive, and music keeps my loved ones with me even after death! Gerry R. Cox is a Professor Emeritus of Sociology at University of Wisconsin- La Crosse. He is the Director of the Center for Death Education & Bioethics. His teaching focused upon Theory/Theory Construction, Deviance and Criminology, Death and Dying, Social Psychology, and Minority Peoples. He has been publishing materials since 1973 in sociology and teaching-oriented professional journals. He is a member of the International Work Group on Dying, Death, and Bereavement, the Midwest Sociological Society, the American Sociological Association, The International Sociological Association, Phi Kappa Phi, and Great Plains Sociological Society, and the Association of Death Education and Counseling. He also serves on the board of Directors of the National Prison Hospice Association.